Who are the impatriates in France ? While the term impatriate can be used to refer to anyone who works outside of their country of origin, in its professional context, it indicates a situation where a corporation brings in foreign employees to work in the company. It’s meant to indicate which direction the transfer is made. Whereas an expatriate is someone who is transferred from the company’s headquarters to another country where they have subsidiaries, an impatriate is someone who is moved from a foreign subsidiary to come and work in the country where that company’s headquarters are located. In this article, we’re going to look at who the impatriates in France are, as well as what their role is in the economy of the country. What is the role of impatriation and what are its benefits? Big corporations with subsidiaries in countries around the world promote intercultural mixing and the sharing of knowledge with the development of impatriation. This process of globalization is one that has many different aspects of interaction and integration associated with the cultural and social side of things. Today, more than ever, with the Macron presidency, France facilitates and encourages the arrival of foreign impatriates in the country to attract new talent. There is a shortage of skilled workforce in France, and in an effort to solve the crisis facing the country, many French companies resort to recruiting foreign salaried employees, or impatriation. The governement’s willingness to attract foreigners to work in France is evidenced by the law passed on 6 August, 2015, which encourages the impatriation of senior foreign executives and leaders of international stature in France. It also encourages French expatriates (or expats) to return to France. The implementation of a specific tax regime which has proven to be advantageous for France’s impatriates who are exempt from income tax up to 50% of their earnings. This applies to all employees and managers who aren’t domiciled in France for tax purposes in the last five years (for a fixed term). The exemption may also concern the impatriation premium, which is additional remuneration linked to the exercise of the impatriate's activity in France. French impatriates are typically expatriate employees, seconded employees, or individuals on a local mission. This may be business leaders or it could be liberal professionals of foreign nationality. More than half of all French impatriates are aged over 41 years, and they are mostly male. At least 60% of them have one or more children under the age of 18, and they come with their family. • Of all the impatriates in France, more than half intend to stay in the country for more than 10 years. • More than 50% are residents of France for more than 3 years. • 20% of them are housed free of charge by their employer. There are some impatriates with expatriate contracts and some "local" employees who were able to negotiate the practical conditions of their installation with the French company that brought them. Good to Know: The impatriates still have to bear the deposit of the hiring guarantee, the flat insurance, the expenses of various installations, and the rental deposit – all of which represent a major problem. • The most frequented are the Yvelines (with nearly 40% of impatriates residing in Ile-de-France, excluding Paris), the Val de Marne and the Hauts de Seine. • For the remaining 28%, they live in these regions of France (in order of importance): Bretagne, Provence-Alpes-Cote d'Azur, Languedoc Roussillon and Aquitaine. When making the choice to impatriate workers, both the company and the impatriate have a lot of things to consider. Bringing a foreign employee to work in France is a decision that cannot be taken lightly. • Why not hire a local French employee? • What are the costs associated with either? • What are the risks of impatriation? • What are the constraints tied to a foreign employee’s mobility in France? • Why bring in the whole family when you can just send one person? Asking these and a range of other questions will help companies to make the right decision as to whether you should impatriate or not. Whether they are bringing in the employee from another country due to the need for more skilled workforce that absolutely cannot be found in France, or any other reason, it’s important for companies to take the time to consider all alternatives to make the right choice. Impatriating an employee can be expensive, but this can be effectively managed by reducing some of the risks associated with the process to a minimum. Mistakes made in an international context such as this one can prove extremely costly. 1. Determine your needs first. Do you need a qualified person that you can’t find in France? Is this a decision that you’ve made, or is it one that was imposed on you by headquarters? By answering those two questions, you’ll be able to determine exactly what are your responsibilities, as well as what actions need to be taken. 3. The chosen candidate needs to be convinced that leaving their country for France is a good thing. The family may need convincing as well, eventually. 4. The next step is to get familiar with all the needs and legal obligations of impatriates in France. That is, determine if there is a special procedure that you need to follow for immigration purposes or any housing constraints or labour laws that you must know about, right down to things like the type of schools available for the children. 5. The final step is to follow the impatriate throughout their assignment. It’s important not to forget about them! Without an adequate supply of skilled workforce, the odds of a global corporation developing a distinct competitive edge is dramatically diminished. Impatriate managers have played a pivotal role in organization’s evolution from the international to the multinational view-point. 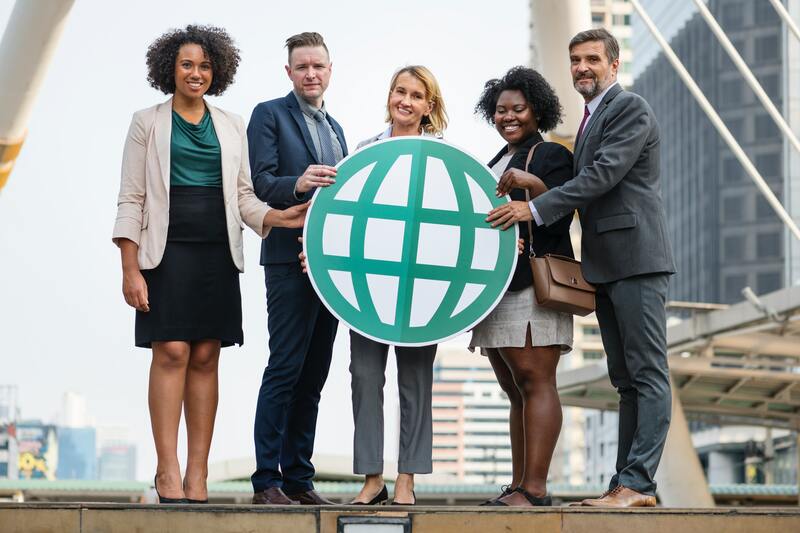 As this phenomenon of global organization gains momentum, there is a growing need for more diversity and increased multiculturalism in today’s global workforce. Why is Paris a great place for business and work opportunities?